Olympic Park | Just Shooting Memories! I had great plans to post a photo from my weekends jaunts. However, that is not going to happen. 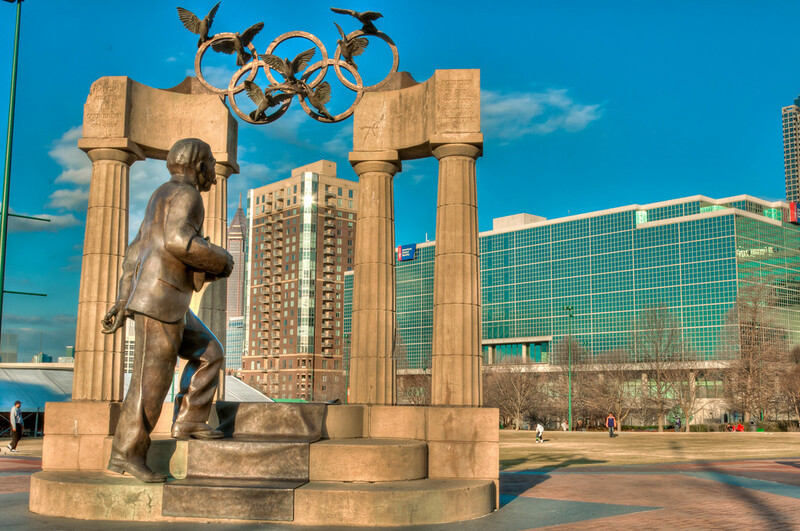 This shot is another from Centennial Olympic Park in downtown Atlanta. I have no idea what the name of this statue is. I thought it was pretty cool. I wish there had been better light reflecting from the building across the park. My goal was to get the sunset in the reflection, but there just was not a good reflection.